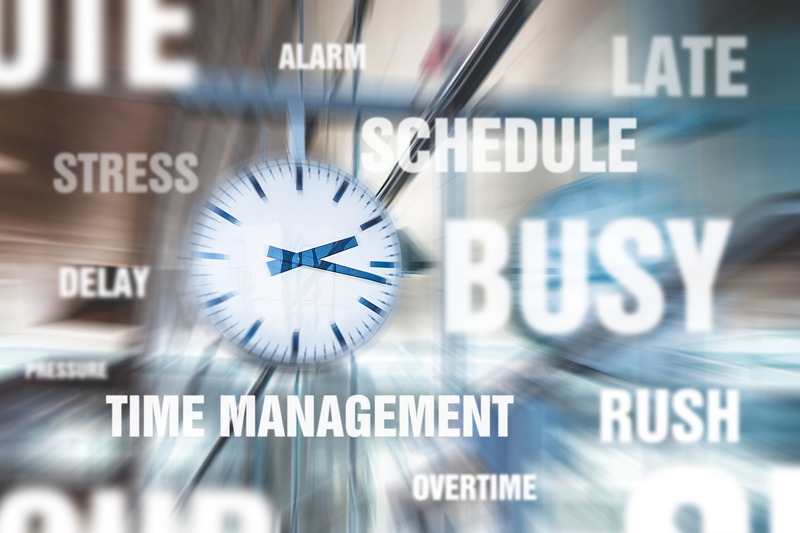 In this article, I am sharing the most common time management issues that I have faced. I also provide the quick and easy fixes, that should help you as a work from home entrepreneur to be more productive and organized. The issues are extracted from the time managements mistakes that I have made throughout my journey. I enjoy learning from mistakes, and I love sharing what worked to avoid repeating them. In my early twenties I had a lot of energy, a plenty of time and a huge amount of excitement to waste on nonsense, and useless habits. I always bragged that I was the multitasking guy in my corporate team. I loved lengthy meetings, and enjoyed long hours of endless work for my employers without complaining. However, that’s normally what new employees do to show themselves as hard workers, and deserve appreciation by the company. Although sometimes it pays off, I have discovered that I was losing a huge amount of my precious time on building a good reputation. A reputation that can vanish in a few seconds. It can simply disappear as a result of an angry customer calling my boss to complain about trivial issues. I have been a freelancer since I was 19 years old in 2002. After making a lot of time management mistakes, and learning from them; I knew that I could leave my day job earlier to pursue my dream, and build my business. But I couldn’t, because I was the awesome multi-tasking guy. My productivity decreased because I was a freelancer who has a day job, and lack of efficient time management skills. It slowed down my progress as an entrepreneur, as well as in climbing the corporate ladder. I don’t want you to make the same mistakes! So, here you are the time management issues I faced, and the fixes that helped me become more productive, and make faster progress towards my goals. A study made in Standford university confirms that multi-tasking decreases productivity, causes memory issues, complicates and decreases the ability to stay organized. As I said before, I was a multi-tasking guy, and I could complete several tasks in parallel. I was productive when I was doing tasks in parallel, only if the tasks were split into chucks, or if they had many sub-tasks that do not need my involvement. For example, I could start a software installation, then while the installation is in progress I could write an email or complete a report. But what if I had to troubleshoot an issue, and constantly receiving “reply urgently” emails at the same time? I failed miserably. As a result, I started to block any incoming interference from any body even my boss. Then concentrated on the most important tasks from my perspective. This was my attitude until I made an announcement, “I am not a multi-tasking guy anymore, and I hate multi-tasking”. Since then, I became more productive. I could fulfill my day job requirements as a non-multitasking guy, and after working hours I dedicated enough time to grow my business. That was me as an employee, but as entrepreneurs we have a lot of freedom to fix this. So here is my advice, don’t fall in this trap. If anybody keeps saying that you are a good multitasking entrepreneur, don’t be flattered, just declare the opposite. Focus on each task, one at a time, and deliver the highest quality results. Your family, your clients “or customers” and your business will love you even more. And you know what? Your brain capabilities and energy will last longer. What is the other issue that you need to fix for better time management. Although I enjoyed useless lengthy meetings in the early phases of my career, I avoided them once I started to take more work responsibilities. Meetings are double-edged swords. They are either huge time and energy wasters, or great productivity boosters. However, If your meetings are similar to the meetings that I had in the corporate life, you are definitely wasting your precious time. I used to enter the meetings without any purpose, just a vague topic and endless chats that lead to nothing during the first hour, then conclude to a few action items in the last 10 minutes. Later, I realized that those meetings shouldn’t take more than 15 minutes, only if one principle was in place, sticking to a meeting agenda. I didn’t ignore the issue. I prepared a meeting policy, and proposed it inside a meeting where the director “of the corporate department” was attending. The policy was enforcing everybody to stick to a meeting agenda, every time we hold a meeting. Yes, they laughed at me. Not only in that meeting, but for a few years after. It was the joke of the team, a joke they really enjoyed. I started to avoid meetings as much as I could, until they realized the importance of a meeting agenda! I only said, “realized”. In fact, nothing changed. So, if you have an online or in-person meeting with a client or a remote worker, you need a meeting agenda beforehand. Because if you attend a meeting without agenda, you simply won’t know what exactly you will be talking about, and when you will end the meeting. But how to create a productive meeting agenda, if you don’t have a list of clear goals and priorities? I almost lost 10 years of my life not growing my business. I didn’t set any goals or priorities, I was just working randomly on what I enjoyed doing. But doing what you love doesn’t guarantee consistency or continuity. You have to start setting your goals and priorities. Every minute you waste waiting or procrastinating is gone forever and nothing will compensate it. It is never too late, don’t be discouraged because of your age or limited resources, the only mistake you will always regret is not taking action. Here is one the most important fixes for time management issues, grab your notebook and a pen, list the top ten priorities you have in your life and business, and write down the three most important goals. Then start planning to reach those goals. But make sure to set realistic plans. Did you make this mistake before? Did you fill your schedule with important tasks or life activities and felt pleased about it? I did this many times and later I realized my mistake. A schedule full of important activities is not real, simply because life has its share of useless interruptions like social media, a long phone call and many other time wasters. You should put a realistic plan for your wasted time, a margin or buffer that will be suitable to absorb all those time wasters like a black hole in the outer space. If interruptions are not optional, and you say no to them by turning off your phone, or isolating yourself physically while you work, don’t tell me that you will not check your phone later to return calls, or reply WhatsApp messages. Your schedule should include those time wasters. An hour or two everyday will be enough to complete those activities, and forget about them forever. However, those are the predictable time wasters. What about the unexpected and annoying ones? Actually, time thieves are my nightmare, they are uncontrollable! Here I am talking about people around us, who eat slices from our time without permission. Those are people who call you anytime of the day, to ask about trivial things that they can find on Google. They steal your work time as well as your own family time, without regret. Those are the people I deal with every now and then. I normally avoid answering phone calls, when they come from people I know that they don’t have important topics. Or, if they call during times of the day where I concentrate on an important task or activity. But, what about in-person communications? How to reject such interruptions? Simple. Don’t be a YES man! I know it is harsh to reject a request for a small chat over a cup of coffee. But you can offer a convenient alternative. For example, If this is a request for information, you can refer the person to a URL or Video tutorials. Or you can offer him a time slot on your schedule, were you planned to put your time-wasting activities. Definitely, the time you spend sharing knowledge and providing value is not a wasted time. But there is a huge difference between asking for help, and sucking information out of you like a mosquito. Those are, again, time wasting activities. So, how to deal with important activities that suffer from time abuse? The next worst thing you need to avoid are time abusers. They are difficult to manage and to work with, as discussed in detail in an article posted on Harvard Business Review. If you rely in your work or deal with time abusers, you will have hard time completing tasks or managing your time. Time abusers like perfectionists, procrastinators and pleasers can mess up with your schedule, without feeling guilty about it. A quick example, perfectionists and procrastinators will often cause delays in projects and tasks, because perfectionists will prioritize perfection over meeting the deadlines. And procrastinators will keep delaying the task itself, because they are afraid to under deliver. On the other hand, people pleasers will always say “YES” to any incoming task. They will accept any request, whether they can handle it or not, just because they can’t say no. They will under deliver on quality, or will skip deadlines because they are not up to task, or because they have too much on their plates. Accordingly, they are unreliable. Don’t be a time abuser, and don’t rely on one! Here is my experience. I used to simplify the tasks, and do my best to give clear instructions, in order to remove any stress or anxiety. But many times I kept receiving late deliverables, and sometimes with lower quality than expected because of these issues. The article on HBR mentioned some tips to handle these issues, but my advice is to avoid the issue itself from the beginning, by not relying on time abusers. To summarize, just focus on one task at a time, block a time slot on your schedule for time wasters, avoid time abusers and never attend a meeting without agenda. If you still believe that it is not easy to fix these time management issues, then I believe you need to re-evaluate how much your time and eventually your success as an entrepreneur are important to you. You need to compare between being controlled, and being in control of your time. I hope that you have got some value out of this article. Now, it will be very helpful to everyone, if you tell us what are the most common time management issues that you are currently facing. Please share your experience by leaving a comment below.